Can you deliver a planning training course for us? We certainly can. More information on our training services page here. We are thinking about preparing a Place Plan. Where do we start? How do I comment on a planning application? 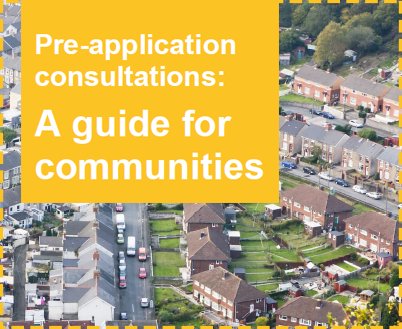 Planning Aid Wales has produced a booklet ‘How to respond to planning applications’ which is available here. How does planning enforcement work? How do I comment on a Local Development Plan? Read our Local Development Plan page for more information. Can you help me get planning permission? Planning Aid Wales can only support community groups to get planning permission for community benefit. If you are looking to get planning permission for your own property, take a look at our planning permission pages. Planning Aid Wales is a charity that supports community engagement in the planning system in Wales.